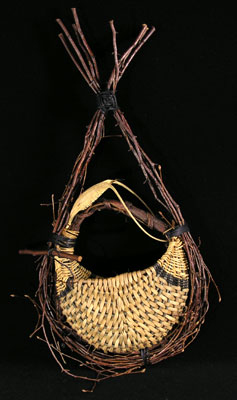 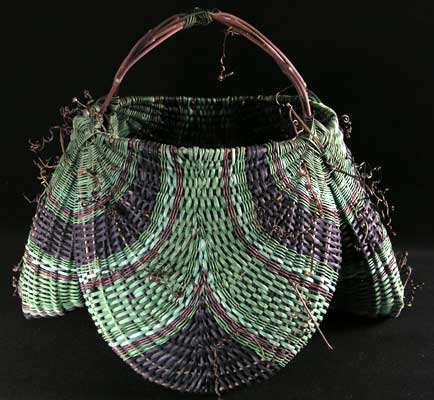 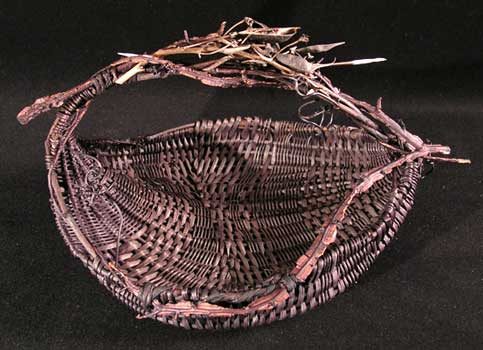 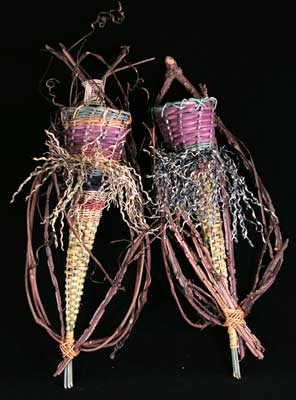 After several years of studying and experimenting with fiber manipulation Ramona Buss began weaving what she calls ‘sculptural basketry’ using wild fibers, vines, and branches which she gathers from the woods and roadsides. 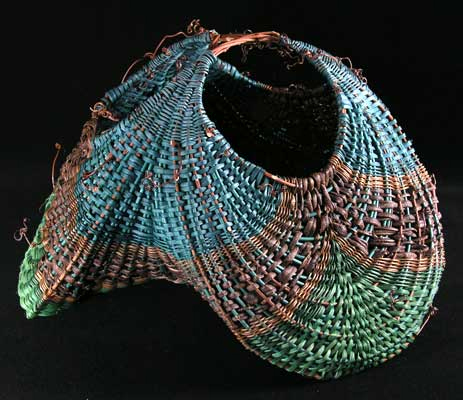 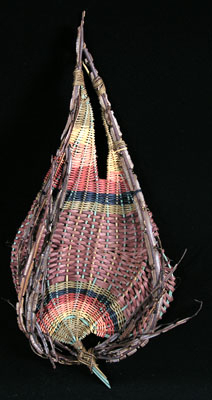 Her weaving process is free form, often dictated by the materials she uses. 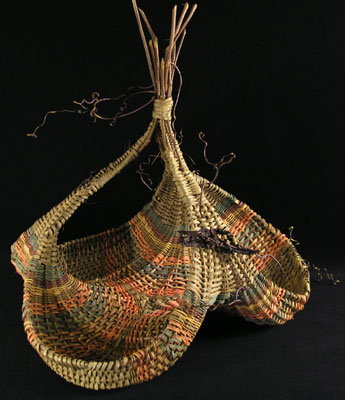 Bark, along with reeds and seagrass hand-dyed with vegetable and procion dyes, add accents of texture and color.